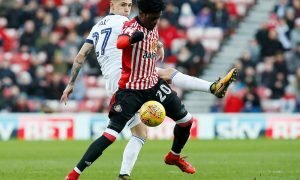 Sunderland prepare new bid for Premier League forward | The Transfer Tavern | Where football transfer rumours fly or die! Our resident Sunderland fans playing darts this afternoon have been delighted by the news that they could see Andre Ayew lining up for their team soon, if reports in TalkSPORT are to be believed. 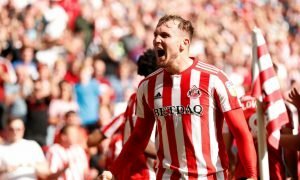 Sunderland are desperate to improve their attack as they look to avoid relegation and they could be set to swap one striker for another. Black Cats boss Sam Allardyce believes that Swansea City striker Ayew could be the perfect fit and has already seen a bid rejected for the Ghana international, who moved to the Liberty Stadium from Marseille on a free transfer last summer. However, the rumour currently doing the round at the bar is that Sunderland have returned with an offer of £10 million plus Italian striker Fabio Borini for the 26-year old. 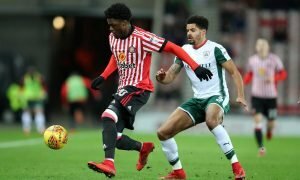 It is unclear if Swansea are prepared to sell one of their top players to a Premier League rival, with boss Francesco Guidolin only recently having taken charge at the helm of the Welsh side. But that won’t stop fans of the Black Cats purring over Ayew, who scored yet another crucial goal at the weekend as Swansea overcame Everton as they too look to fight the drop. That goal took his league total for the season to 8, whilst Sunderland’s top scorer Jermaine Defoe has 12. However, former Liverpool man Borini has netted just 2 goals this season and our landlord believes that including him in a deal could possibly seal a switch. Sunderland fans, would you be happy to sign Ayew if it means losing Borini? Let us know in the comments below!